The caves of Tumblr are deep. Often the users will strike gold on an idea that will rock your world and forever change the way you think. 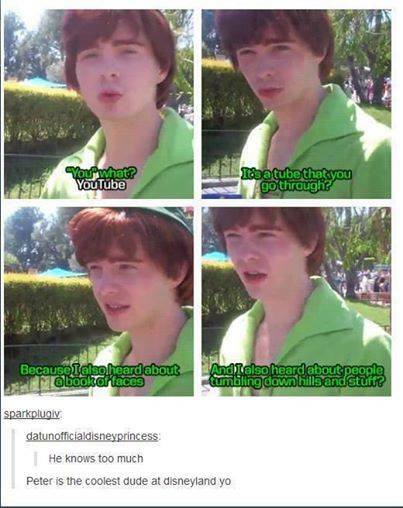 Here they show that there is more than what meets the eye to many of our beloved Disney folk. 1. When it made you evaluate your whole love life. For better or worse. 2. When Phil was actually right. 3. When you understood that Ariel has other priorities (or bigger fish to fry). 4. 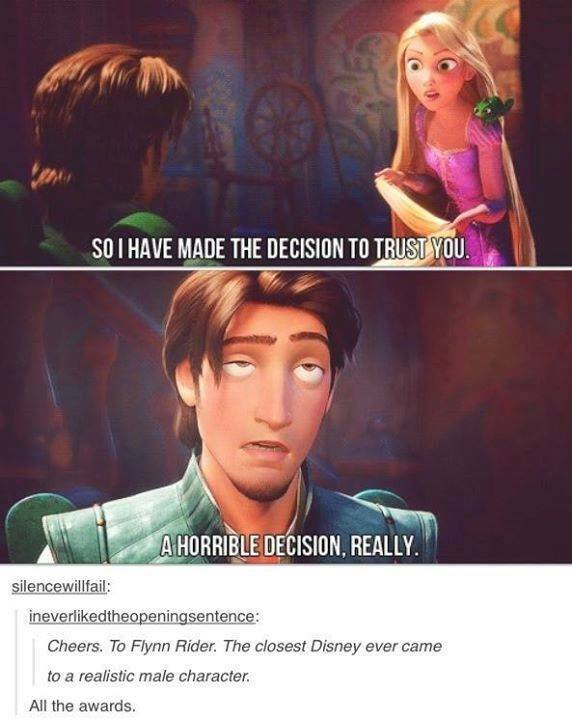 When Flynn showed you that Disney male leads can have flaws and still be perfect. 5. 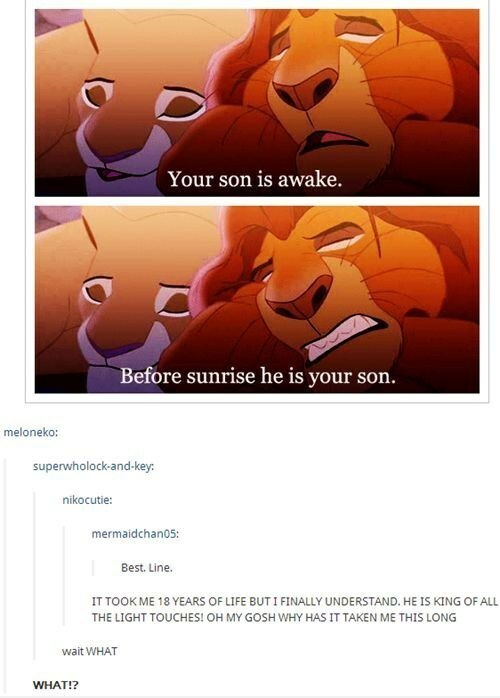 When you realised that Mufasa used his title to his advantage in more ways than you imagined. 6. 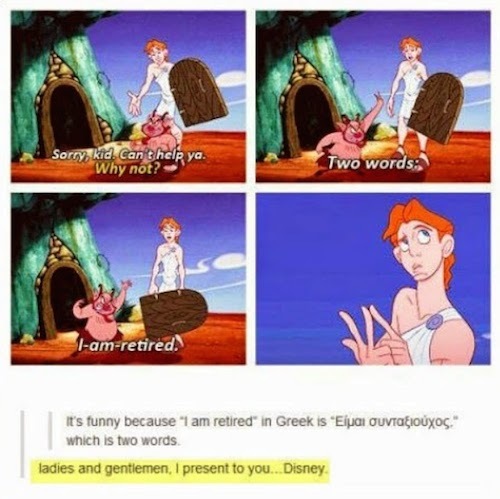 When you realised that prosititutes also exist in the world of Disney. 7. When you discovered how profound these lyrics are. 8. When you found out who the true fashionistas of Disney are. 9. 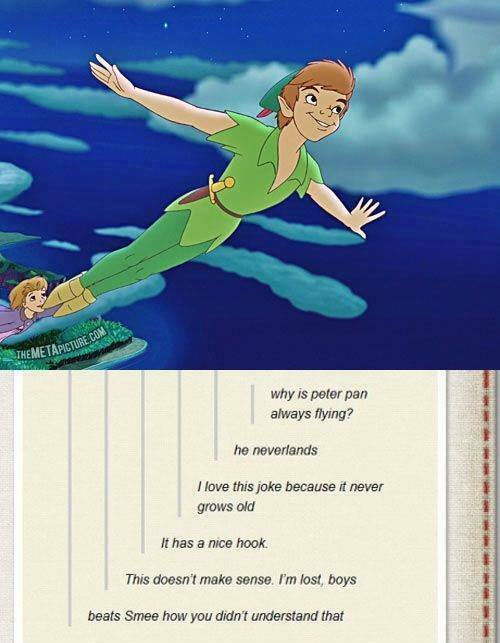 When your eyes were opened to these Peter Puns. 10. 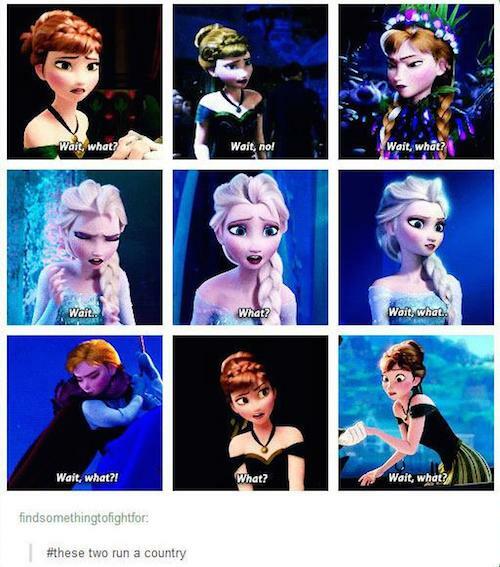 When you saw that to be queen all you need is a limited vocabulary. 11. 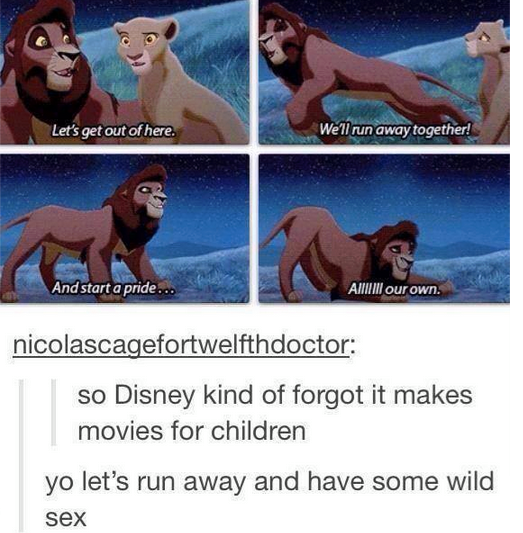 When you realised Kovu has needs. 12. When symbolism had you reading between the limes (pun intended). 13. When it proved that symbolism can also be seen through fashion choices. 14. 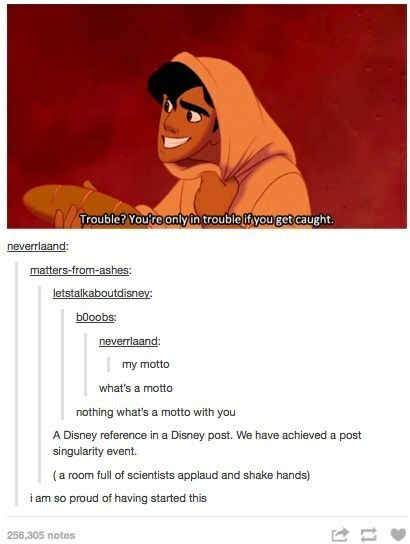 When you can clearly identify who the true Disney fans are. 15. 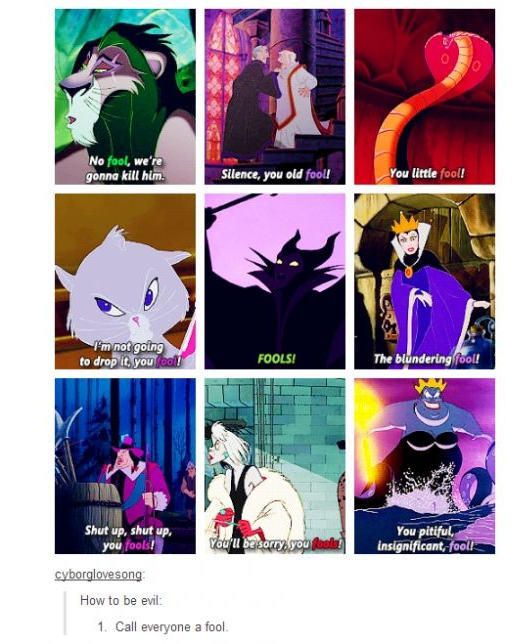 When it taught you how to become the ultimate villain. 16. 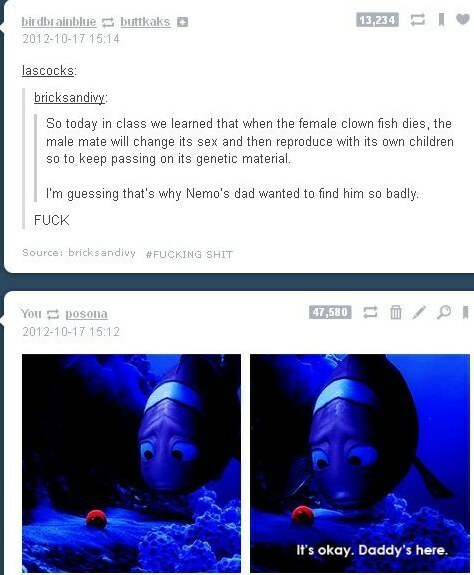 When Finding Nemo made you lose your innocence. 17. When you realised that Ariels hair defies the laws of physics. 18. 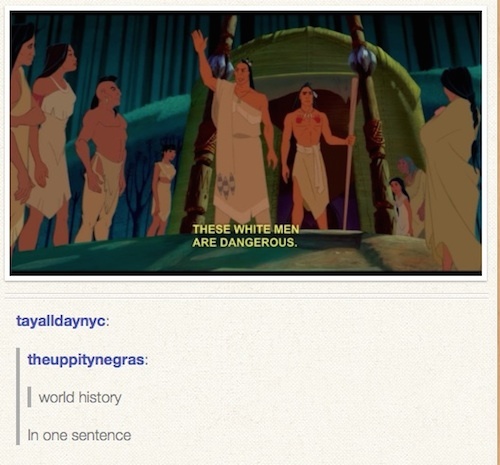 When Pocahontas gave this relevant lesson. 19. When you saw how majestic John Smith could be. 20. When it made you appreciate that a good actor NEVER BREAKS CHARACTER. 21. 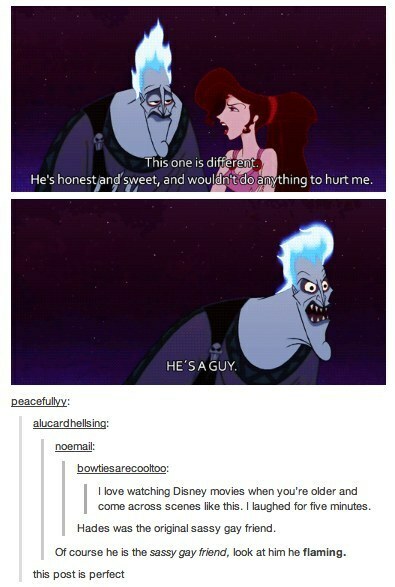 When Hades spoke the truth. 22. And finally, when you decided that this future Disney film must happen! 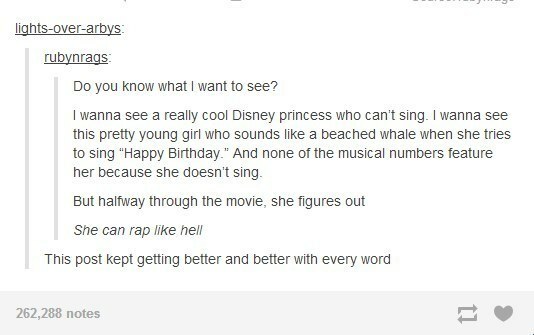 For all us tone-deaf princesses reading this post.